This great new addition to the Bigblue dive lights photo/video light family offers many features making it a great choice for any diver. The VL7200PTC or Tri-Color is a self-contained, compact yet powerful, all-purpose dive light - but is best suited for video purposes with a 120° beam angle. This model also boasts 3 color settings - a cool white, warm white, and red mode. 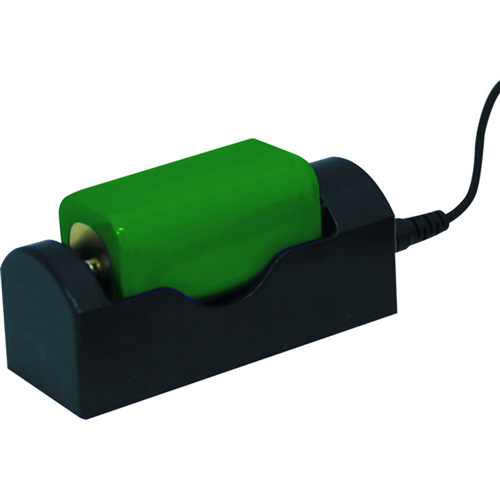 This light generates 7200 lumens, and is controlled by a reliable push-button with battery indicator. Also, an option in the push-button system is a built-in red LED mode, great for lowering the color temperature and creating a great light for viewing all types of sea life. This light also comes with a 1" (25.4 mm) ball joint for camera use, a sturdy glove, and has a reliable 18650 x 4 lithium-ion rechargeable battery pack and charger. 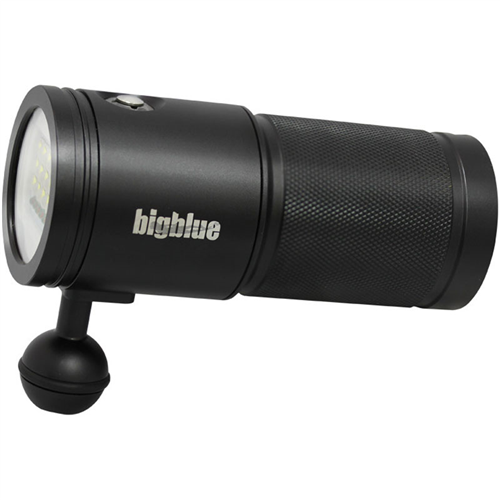 The Bigblue VL7200P Video Light with 15 x XML LED&apos;s + 6 XPE Red LED&apos;s has 7-output levels and provides cool white light of 1,800 lumens of brightness (level-1), 3,600 lumens (level-II), and 7,200 lumens (level-III). In warm white light 900 lumens (level-1), 1,800 (level II), and 3,600 (level III). Red color mode output is 500 lumens. The light has a color temperature of 6500K in cool white light and 5500K in warm white light. The lights burn time in each brightness mode is 3-hours (level-III), 6-hours (level-II) and 12-hours (level-I). Built to last the light is manufactured from aluminum alloy that is anti-corrosion anodized, is sealed by a double O-ring providing a depth rating to 330&apos; (100 meters). The light head has a tempered optical glass front lens. The light measures (L x Dia.) 6" x 2.2" (152.3 mm x 55.4 mm) weighs 16.1 oz. (457 g) with battery, and is negatively buoyant by -6.1 oz. (-173 g) underwater. Light comes with a lanyard, sturdy glove and an owner&apos;s manual.